Our summer care program offers parents flexibility with their child care options. 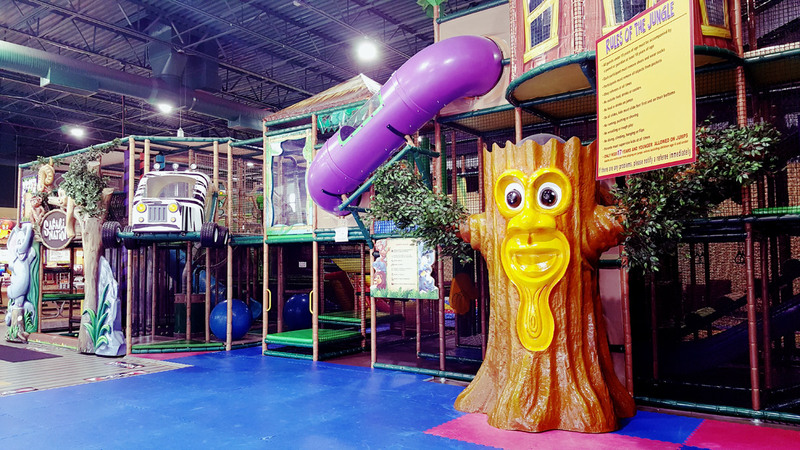 Not only will you love the flexibility and convenience, but your child will also love playing and learning at the largest indoor playground in the Triad. We offer a full time, five days a week, summer care program, where your child will get to play, learn, and interact with other kids. A well balanced lunch is provided too! We’re a company you trust for parties and fun, but you can also trust us with your child’s summer care, as safety is our top priority! We hope to be able to help with your summer child care needs! They’re going to have a blast! Our Sumer Care program begins each day at 8:00am, and concludes at 5:30pm. We know work may run a bit later from time to time, or everyday, and that’s no problem at all. Should for any reason you need to extend your childcare hours, we are open until 8:00pm, so we’ve got you covered. Each additional hour after 5:30pm is charged at a rate of $9/hour. Early drop off is also available starting at 7:00am at $10/hr. This rate is calculated at $2.50 for every 15mins your child is early. Please give us a day’s notice if you intend to drop off early. *currently, Summer Care is only available at our Greensboro, NC location. We do offer a multichild discount of 10% per an additional child (20% off max). This means if you have two children enrolled with us, you get 10% off your child care rates- if you have three or more children enrolled, 20% off. Summer care rates include daily lunch, snack, and a drink, however we encourage you to pack anything you know your child is particularly fond of. No nut containing items please. Our Summer Care program is available for 11 weeks from June 11th-Aug 24th. We do not require you to commit to the full summer, but because of the nature of our program, we strongly encourage multiple weeks as our curriculum continues week to week. What does a day at Safari Nation look like? We offer a structured day during summer care hours. The day starts with a bit of play time to wake up and get our morning exercise, either on the playground or in our care room. Around 9:30a our participants will enjoy breakfast, and afterwards they will spend time in the care room for an educational lesson. Lunch is at noon, followed by some time to relax and nap if your child chooses to do so. More play time and follow up lessons occur later in the day, and escorted restroom breaks are also scheduled through out the day. Our days at Safari Nation are fun and action packed, where education, health, and safety are top priorities! They’ll have and blast, and you’ll have peace of mind. Which ages do you care for? We cater to ages 2 to 11 years old. Our playground and care rooms have activities for the entire age range. Providing nutritious meals is a top priority for us, as we know this is a crucial age range for childhood development. We provide a variety of allergen free, and balanced meals through out the week. If there is a food your child is particularly fond of, we encourage you to pack it and send it with them. No nut containing items please. All childcare personnel are required to pass a background check, and be certified in CPR and first aid. We also insure our staff have the experience necessary to plan, implement, and insure skill development. What measures do you take to insure my child’s safety? Child safety is our top priority at Safari Nation! Each child must be checked-in upon arriving, where they will receive a badge to wear while in the facility. 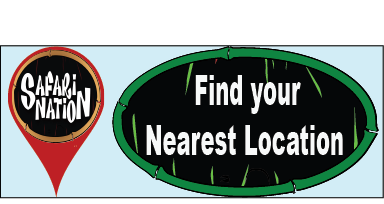 This will tell any Safari Guides (caregivers), the child’s name, parent contact info, any allergies, and other necessary information. This badge also has a code that must match the code sheet provided to you at check-in for the child to be picked up. In addition, to having that key, the person picking up, must be on your approved guardian sheet, and have a valid ID. Kids are also required to wear a colored wrist band that allows any team member to identify your child as a part of our summer care program. All entrances and exits are manned, insuring no child is allowed to exit the facility without an approved guardian. All Safari Guides are required to pass a thorough background check and are certified in both CPR and first aid. Safari Nation is also equipped with 60+ actively monitored security cameras for your child’s safety. Must we commit to the full summer? No, we do not ask that you commit to each week of the summer. We understand that summer is a big time for families to take vacations and spend time together. It is also our desire to serve you, and a commitment locks you into something you may not need. Is a part time option available? Absolutely!!! We have part time care available for those wishing to attend the program for less than a full week. Your child may attend any day, Monday -Friday for $39.99/day. Breakfast, lunch, and snack is included. If you feel we are a good fit for you and your family, click the “enroll” button above. If you have questions for us, or need assistance enrolling, please give us a call at (336) 740-1140. We’d be glad to help! Copyright © 2018 Safari Nation All Rights Reserved.